Fløibanen AS is a company with long traditions in Bergen. Fløibanen has carried over 50 million people to and from Mount Fløyen since it was first opened in 1918. There has been a steady increase in traffic in recent years, and 2018 was a fantastic year for Fløibanen, with new records set in several months and a new annual record of 2 023 786 journeys made. The Fløibanen funicular opened for passengers on 15th of January 1918. The two carriages have been red and blue since the early 1950s. The carriages are thus named Blåmann (Blueman) and Rødhette (Little Red Ridinghood). Today’s carriages are fourth generation and went into service in 2002. Today’s carriages were built in Switzerland at the Gangloff factory, and it is designed specially for Fløibanen by the industrial designer Espen Thorup. Fløibanen is a corporation with many private shareholders. 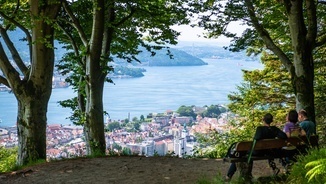 The biggest shareholder is the Municipality of Bergen. Fløibanen can operate at different velocities. Normally we dive at 4m/sec, but the speed can be increased to 6m/sec. Fløibanen runs on electricity. It has machinery consisting of an AC motor with about 400 hp. The carriages are 12 metres long and weigh 13 tons without any passengers aboard. The cable is 40 mm thick and can handle a load up to 66 tons. Activity section that will facilitate activities for children and adults alike, both outside and inside all year round. Fløistuen shop and cafè where you can buy gift and useful artifacts, as well as baked goods, icecream, coffe, tea, hot cocoa and sodas. Bergen’s largest and most established playground and climbing course. Varying terrain for hiking during the summer, and fantastic opportunities to ski and go sledding during the winter. +47 55 33 68 10 / +47 55 33 68 09. Feedback for us- positive or negative? Send us an e-mail at risogros@floyen.no. We would also be thrilled if you took the time to leave a review on Tripadvisor! 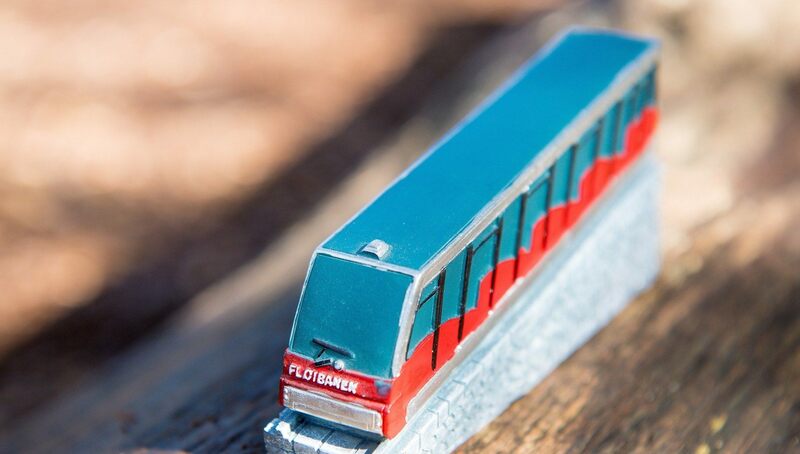 If you would like to receive a copy of our brochure, or if you have any questions about Fløibanen funicular, contact us at info@floyen.no – we will be pleased to help you. Nature is Mount Fløyen’s main attraction. Mount Fløyen shall be the top destination in terms of sustainability and cultural experiences, and we shall do our utmost to ensure the best possible nature experience.